The Inspector General of Police Maj. General Edward Kalekezi Kayihura has in an unprecedented move offered to personally be at Entebbe International Airport to receive Ugandans in diaspora who are scared of being arrested upon arrival in Uganda. President Yoweri Museveni has renewed his call for a change in the law to deny bail to suspects charged with corruption, terrorism, treason and defilement in the first 180 days on remand. 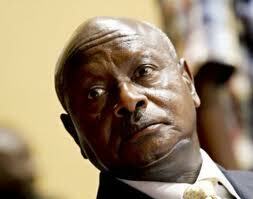 The president’s proposal has been sent to both the NRM caucus and the cabinet. If the president’s proposal eventually becomes law, it would remove the discretionary powers that Judges have to grant bail to suspects for certain crime categories. The Swedish government has announced that Uganda had paid back a total of 2.8 million euros ($3.75 million) in Swedish aid that had been stolen from the scandal ridden Office of the Prime Minister John Patrick Amama Mbabazi.